THE TWENTY ONE PILOTS ‘STRESSED OUT’ BACKPACK IS BASED OFF THE BACKPACK WORN IN THE ‘STRESSED OUT’ MUSIC VIDEO. THE DESIGN FEATURES A PATCH ON THE FRONT OF THE BACKPACK AND MANY OF THE BANDS LOGOS PRINTED ON THE STRAPS. THE BACKPACK MEASURES ABOUT 14 INCHES TALL AND 7 INCHES WIDE. THE WEIGHT THAT THE BACKPACK CAN CARRY IS UNKNOWN, BUT WE DO NOT RECOMMEND OVERLOADING THE BACKPACK. 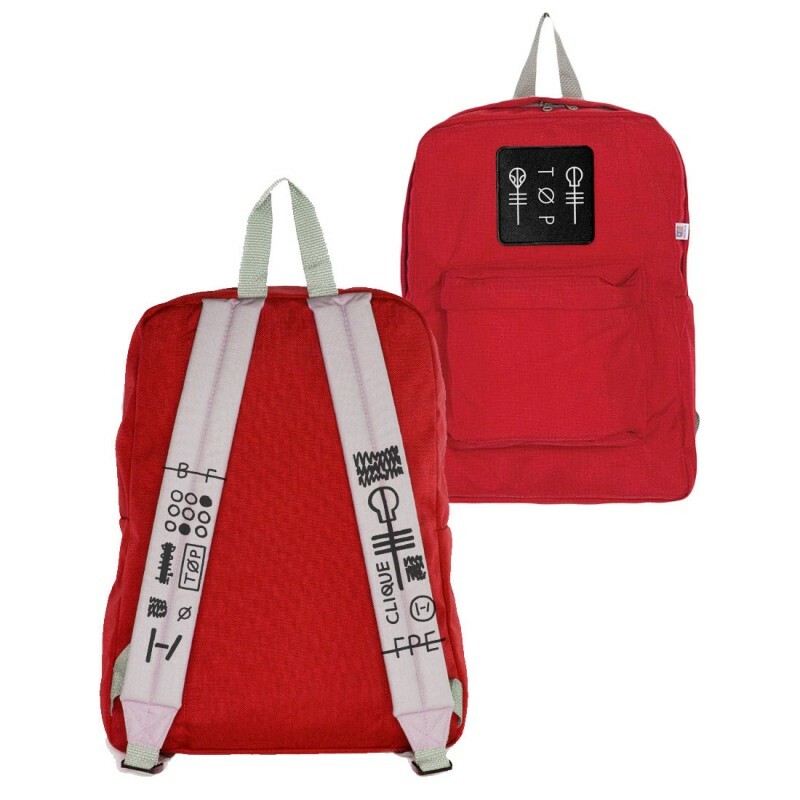 The twenty one pilots 'Stressed Out' backpack is a recreation of the backpack Tyler wore in the 'Stressed Out' music video.